Create simple and engaging quiz forms. Keep your audience hooked and gets lots of shares! Create unlimited quiz forms for your users. Create unlimited questions with MultiSelect, Radio, Checklist & Drop-down fields. Assign points to each question and allow automatic calculation of total. Indicate multiple correct answers for Checkbox and Multi Select fields. Choose to show points earned and correct answers to responders. Shuffle questions each time the page reloads. Create feedback statements for correct & incorrect answers. Show right & wrong answers in green and red highlights. Show users grade after submission or send manually by email. View and manage all entries with ease from one place. View details, such as, earned points, IP, device used & submission date from entry manager. Download entries as PDF or export in CSV format. Send a copy of every submission via email to admins and respondents. Place the quiz with another form or page or publish it separately using the built-in shortcode. weForms is a flexible, complete form builder plugin for WordPress. 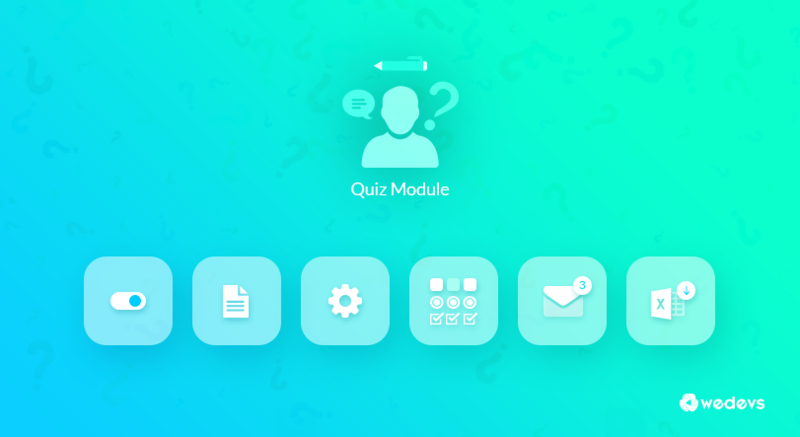 The Quiz module lets you build creative personality, trivia forms and more. Create interactive forms in various styles & layouts. Add text, images, and videos to make it more intuitive. Engage your visitors and build more leads. Get creative with how you generate leads. With weForms Quiz, build creative interactive quizzes for users to engage with your business.